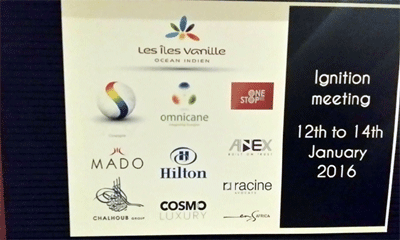 Pascal Viroleau, the CEO of the Indian Ocean Vanilla Islands organised a series of trade meetings on the sidelines of the region’s Ministerial Meeting of the Vanilla Islands taking place in Mauritius between the 13 and 14 of January. The Indian Ocean Vanilla Islands (Mauritius, Seychelles, La Reunion, Madagascar, Comoros, Mayotte and Maldives) are all in their own way spearheading programs to grow their respective tourism industries. 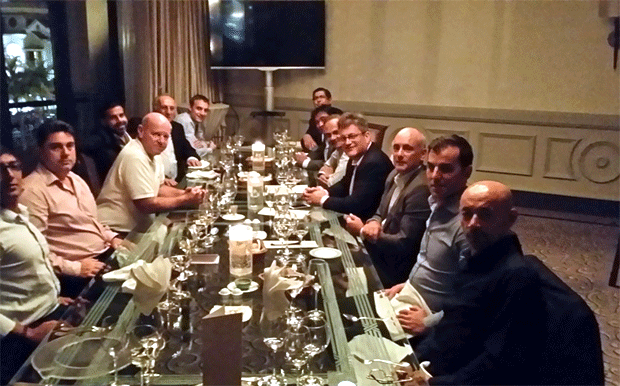 Duty Free Shopping of branded luxury goods is something often raised in tourism forums and the Mauritius meetings brought together some key players to meet the regions politicians. CHALHOUB Group is today known in the GCC Countries as an important representative of major luxury brands and an operator of Duty Free Centres and along with SYNERGY Company of La Reunion and Mauritius they presented what could be done for the region to bring ‘shopping holidays’ in the broader sense in line with expectations of the discerning travellers. Alain St.Ange, the Seychelles minister responsible for Tourism and Culture met this group of business partners at a working dinner on Tuesday night at the Labourdonnais Hotel in Port Louis, whereas Xavier Duval, the Deputy Prime Minister of Mauritius and Didier Robert, the President of La Reunion are set to also meet the same group during the morning and in the afternoon Wednesday. Minister Alain St.Ange said after the meeting that ‘shopping holidays’ is today more needed that ever before as an important selling point. “Seychelles is embarking on direct non-stop flights to China and these visitors for example are always researching on shopping possibilities in destinations they will visit”. said Minister St.Ange as he invited the business group he met in Mauritius to undertake a working exploratory visit to Seychelles in February.